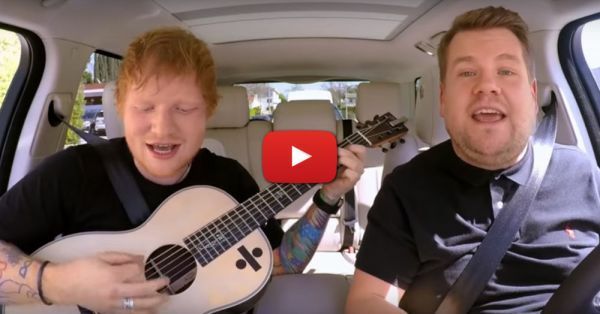 Ed Sheeran Sings His BEST Songs In This Carpool Karaoke Video! Celebrity talk show host, James Corden, and our favourite singer, Ed Sheeran, went on a car drive in Los Angeles and the two had a blast. Corden being his wittiest best, made Ed Sheeran sing the best of his hits - from ‘Thinking Out Loud’ to ‘Castle On The Hill’ - he was sang all the songs beautifully. He even covered One Direction’s hit ‘What Makes You Beautiful’ and Bieber’s ‘Love Yourself’ and girls, it was amazing. We must say that both of them took THIS carpool karaoke to another level. So go ahead and hit play ladies! We bet these will be the best thirteen minutes of your day. P.S: Rumour has it that Ed Sheeran’s coming to India this year end. Can’t wait to get all the details about his show already!